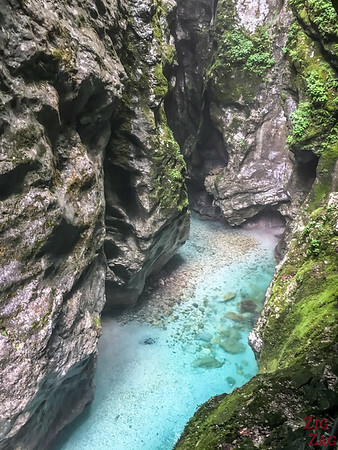 Located in the South of the Triglav National Park, the Tolmin Gorges in Slovenia are a stunning natural attraction with narrow canyons, crystal-clear water and the confluence of 2 rivers. 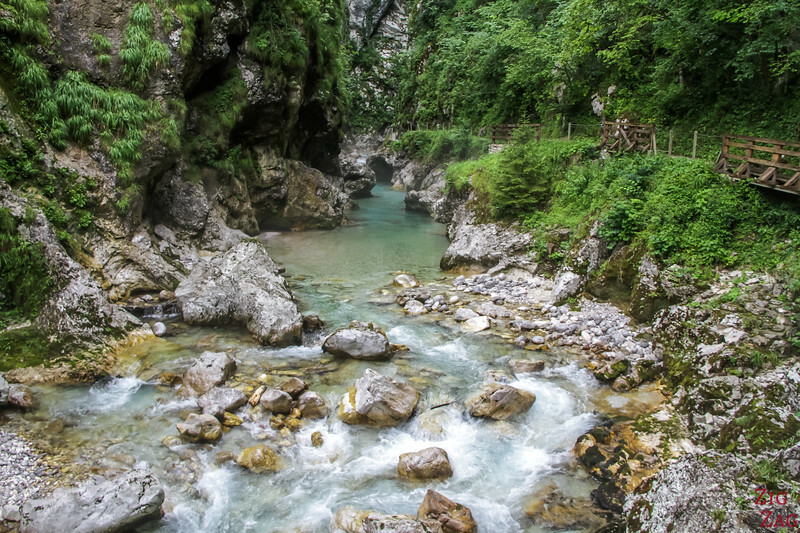 Le me show you in video and photos why you should not miss the Tolmin Gorge walk. 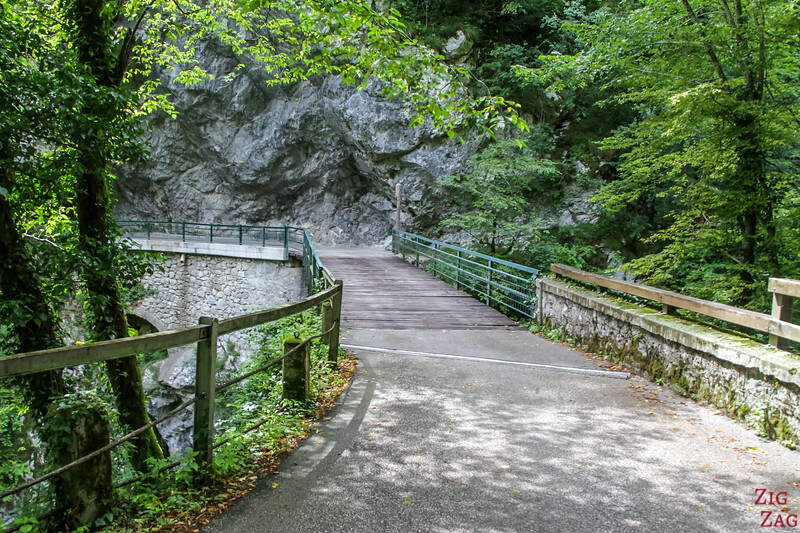 Let's start with a short video of my wandering in the Tolmin Gorges. Notice the colors and how narrow they are! 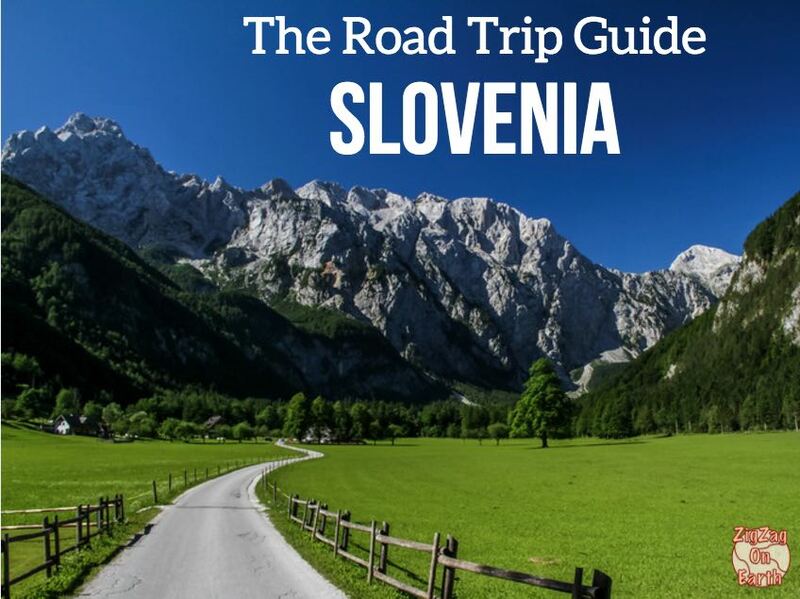 Can you understand why it made my list of top things to do in Slovenia? 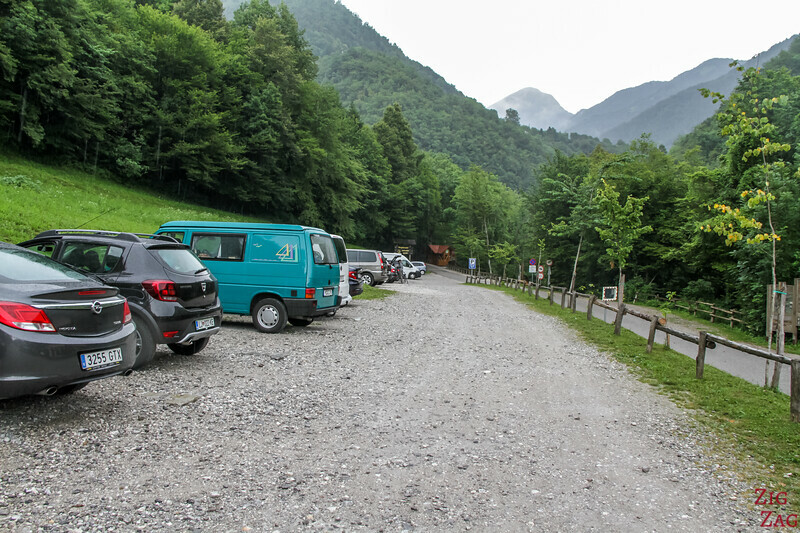 The Tolmin Gorge Parking is easily accessed from Tolmin. The drive is not difficult. There is good space to park. But it can get crowded in Summer in the afternoon. The Entrance hut is just at the end of the parking. The local name is Tolminska korita. 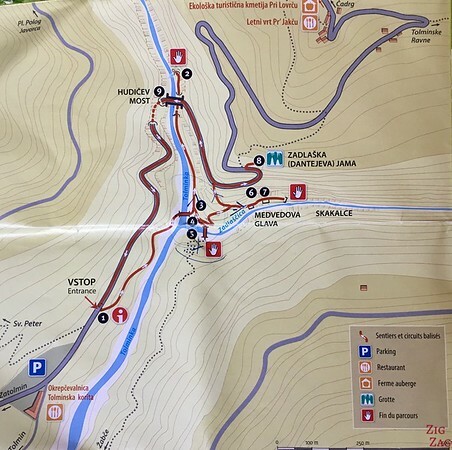 Once you have paid for entrance, the team gives a map with all the points of interest and explanations. I had read reviews that the staff was really great and I have to agree. It was one of the best welcome I had at an attraction in Slovenia. She explained everything and answered most of my questions, happy to help me. Although she was not able to answer all of them (because I asked very specific ones lol). One the map above, you can see the entrance hut at #1, the confluence at #4, the spring at #2, the Bear's head at #7 and the Devil's bridge at #9. 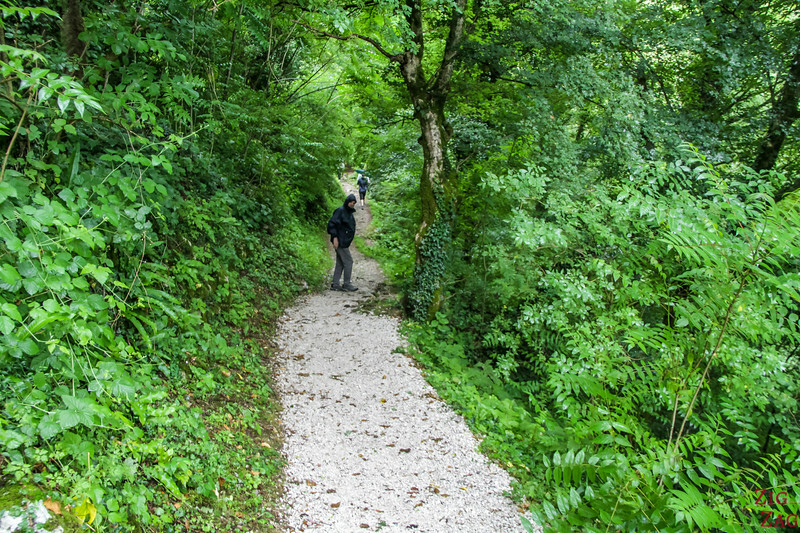 Is the Tolmin Gorge Hike difficult? 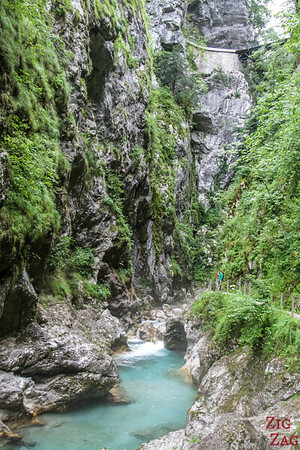 The Tolmin Gorge walk is a bit tiring but not really difficult. The Tracks and steps are in very good conditions. There is nothing technical. 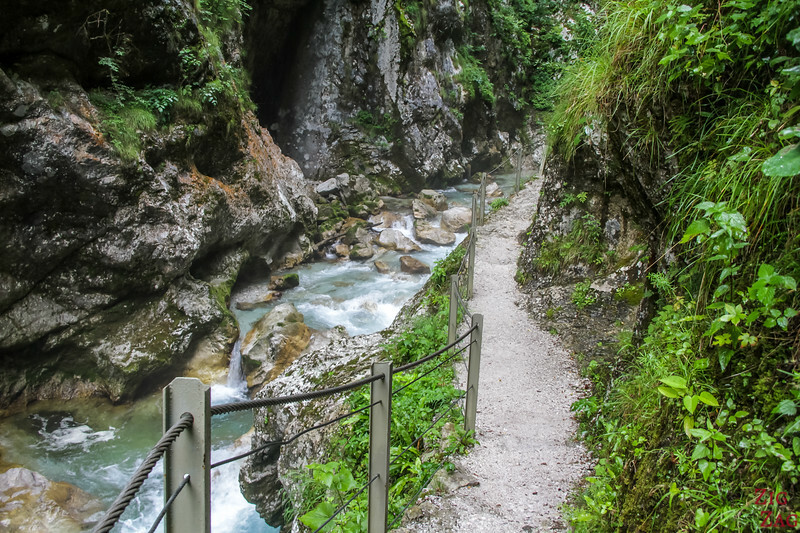 The main issues are the slopes and steps, since the confluence is at the lowest point in the Triglav National Park. One of my questions to the official in the hut was: how many steps there were. She could not tell me. So you have to consider that when deciding if it makes it for your itinerary. 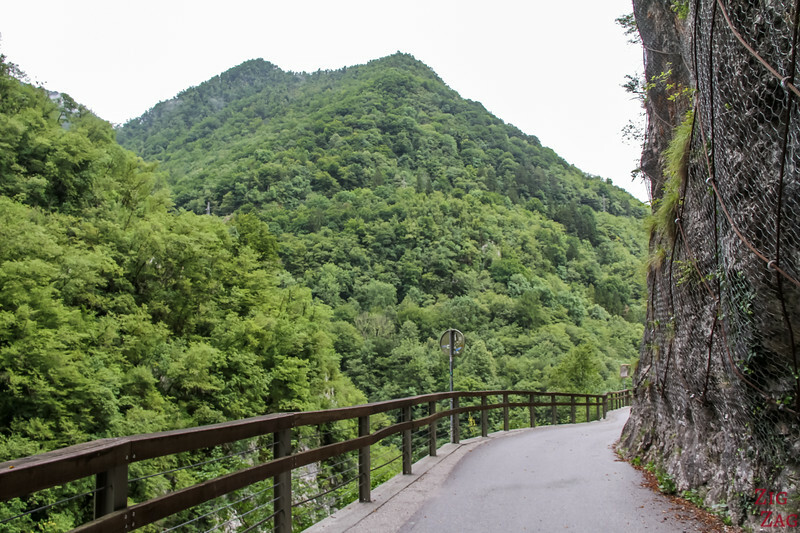 For an easier hike, It is recommended to actually walk it in the opposite direction. 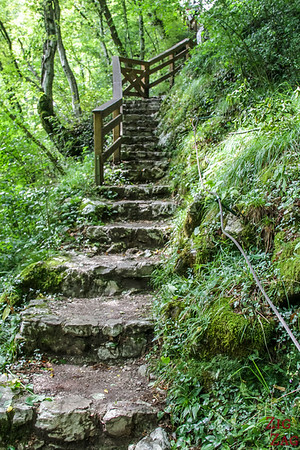 Start with the bridge, get down the 350 steps and back up with the 100 steps and slope. 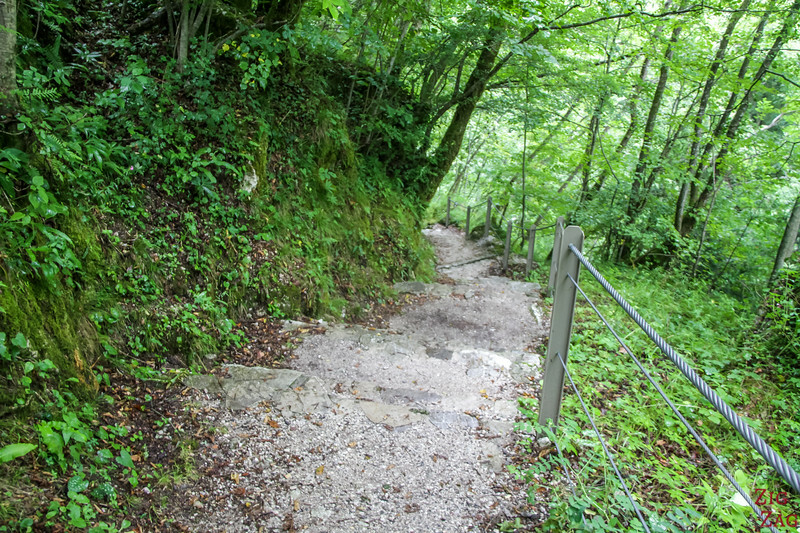 However, as you will see below my favorite part is the walk to the spring. 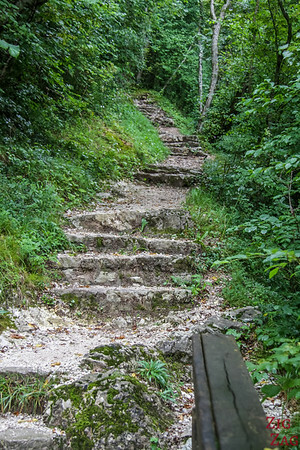 That means 100 steps down, Maybe 30 extra steps to get to the spring + walking - and then back up. I really thought this was the most impressive part. 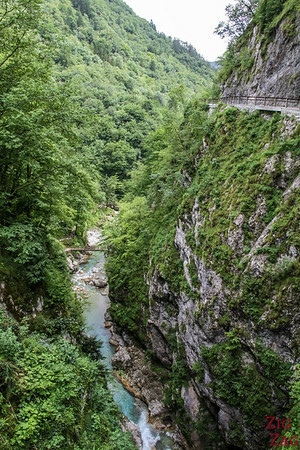 The Tolmin Gorge, along with many other beautiful places, is included in my eBook: The Road Trip Guide-Slovenia. 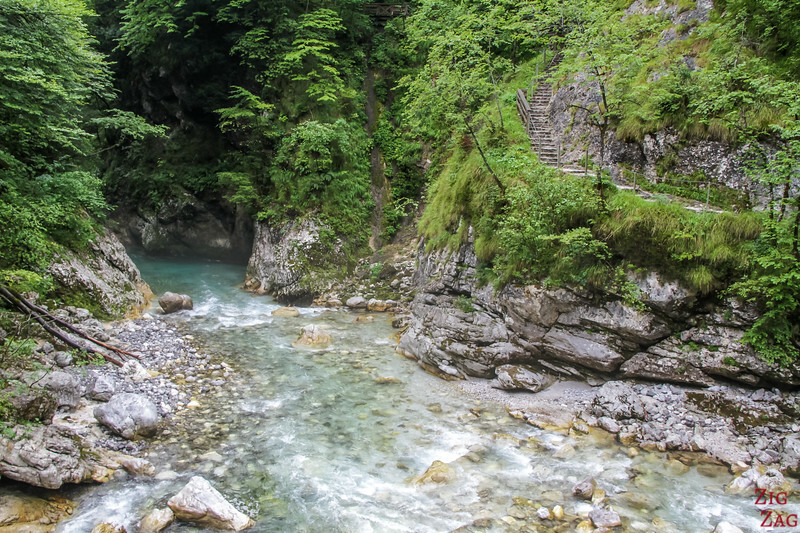 Your stop at the bottom of the gorge is at the confluence of the rivers Tolminska and Zadlascica. 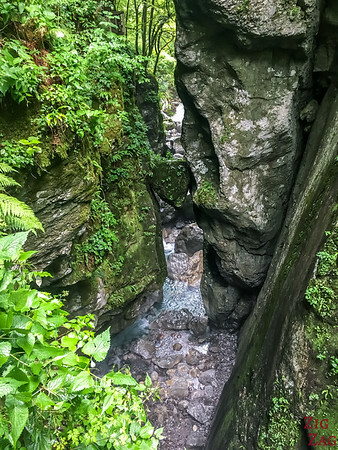 It is the only meeting of 2 valleys in Slovenia. 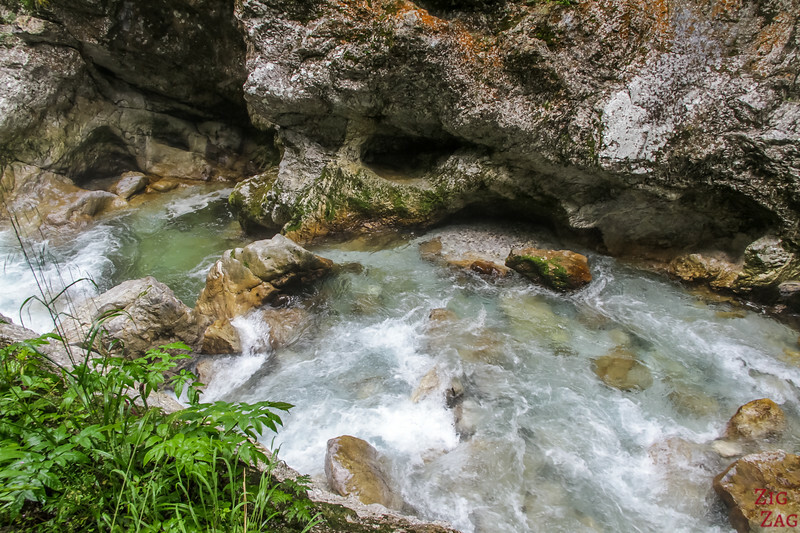 The confluence "Sotocje" is the lowest point in the Triglav National Park at approximately 180m above sea level. You can see the exact meeting point in the photos below. 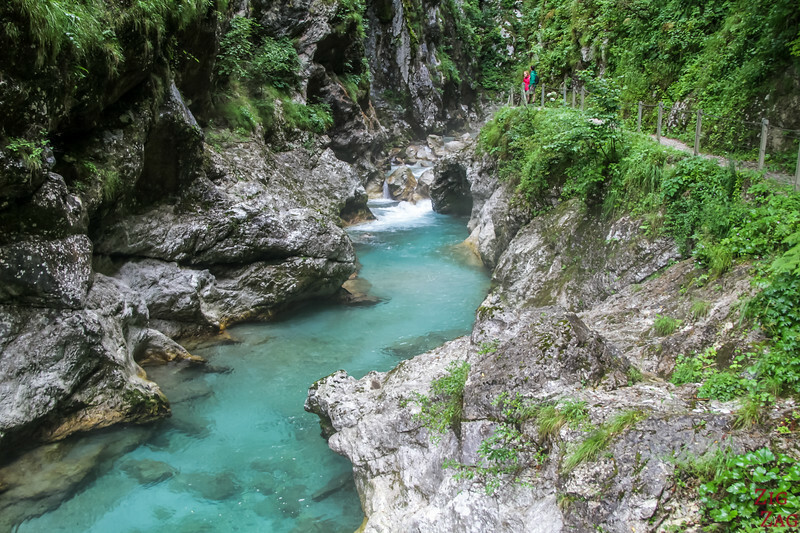 The path is carved by the water that is of an incredible color (like everywhere in Slovenia). Just look at the beginning of this section. So inviting! 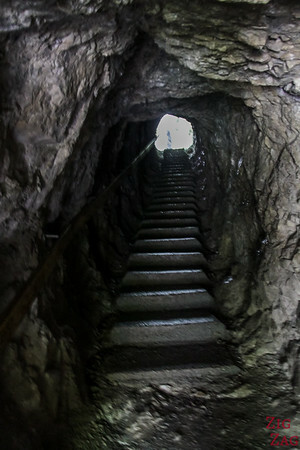 At one point you have to enter a tunnel with steps to reach the last part of the walk. 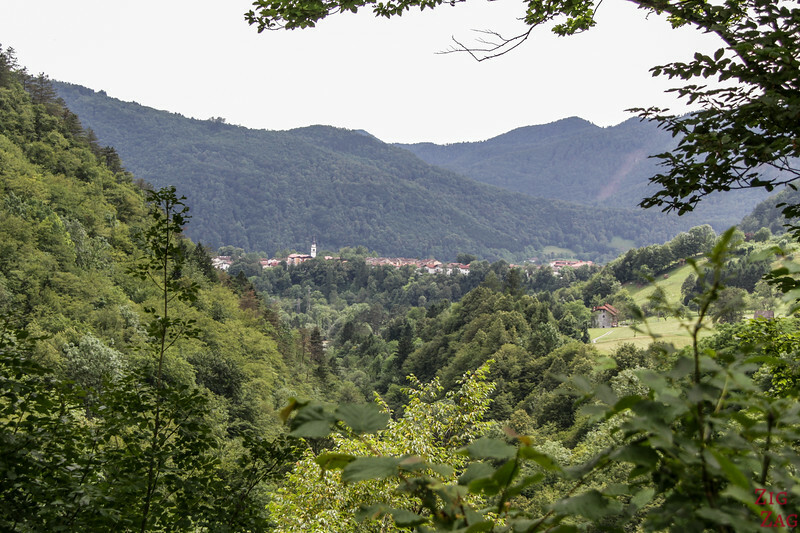 These are views at the end of the path. The river makes a turn and it is quite spectacular! It is also at this point that you can spot the thermal spring. Look at the first photo below, to the right from the small cave. 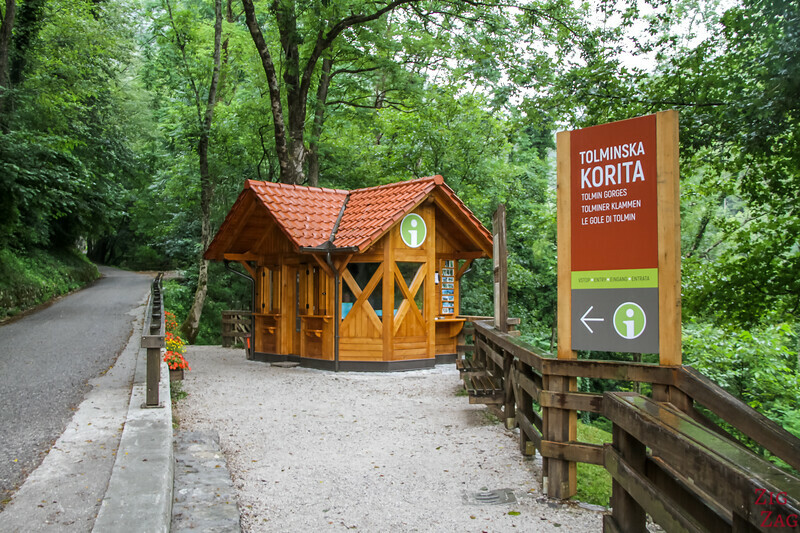 The temperature of the Tolminska river reaches 5 to 9°C while the water coming out of the spring is around 20°C. 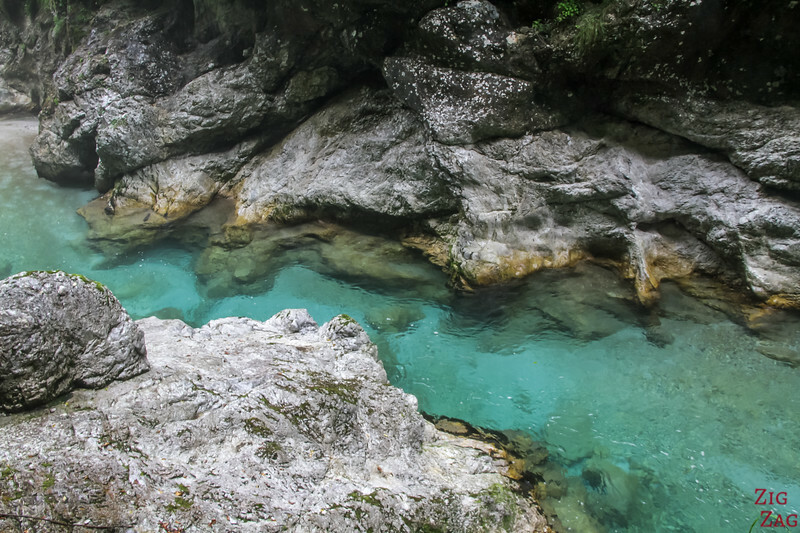 Such springs are quite rare in the Julian Alps. Then, even thought I was really tired, I decided to go up and see more of this area. On your way to the top, you can go on a detour to see the Bear's Head. 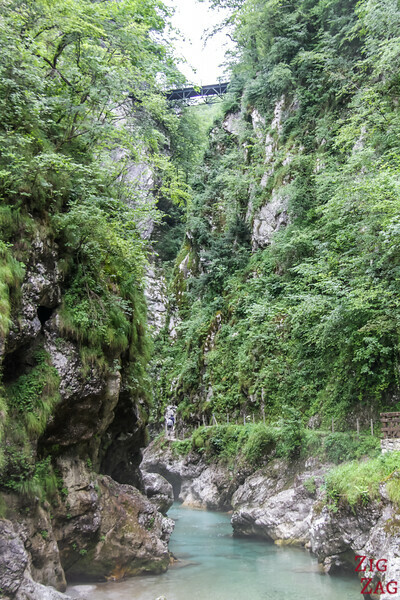 You walk through the Zadlascica gorge that is quite fascinating because of its luxurious vegetation. It is due to the excessive humidity and Mediterranean climate. 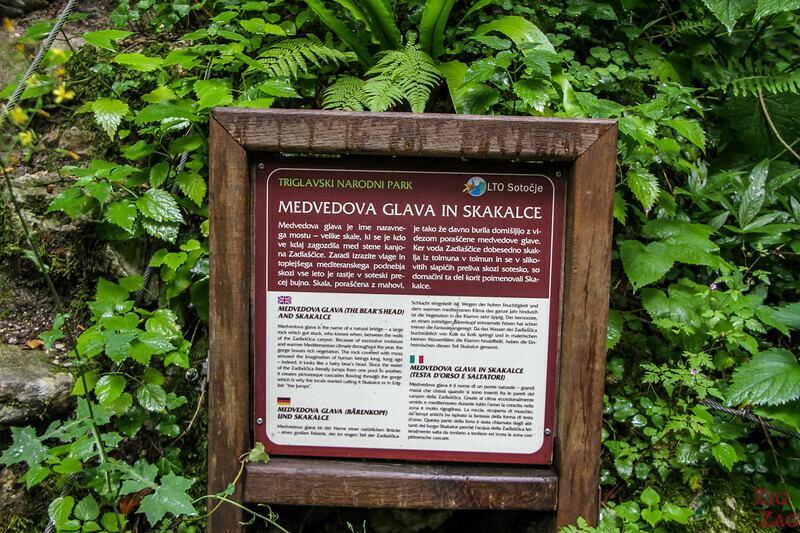 Its local name is Medvedova Glava. 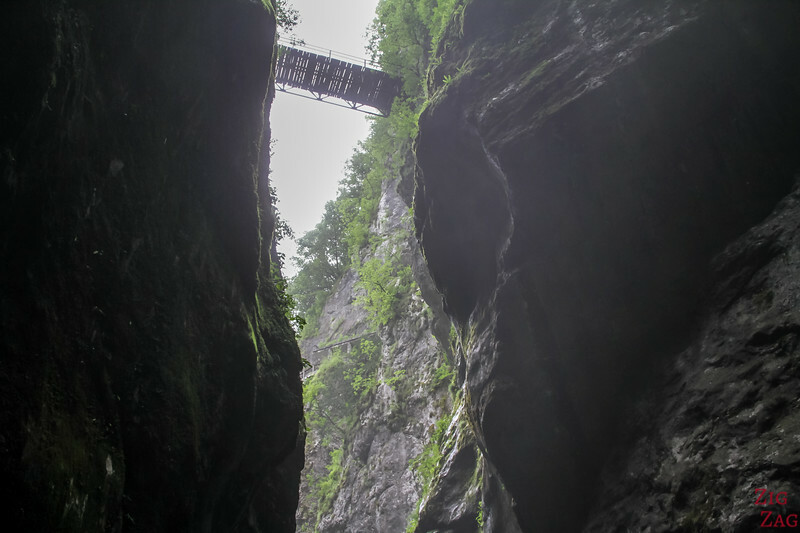 It is a natural bridge created by a large rock that got stuck between the walls of the Zadlascica canyon. In this area, the water jumps from one pool to the next. 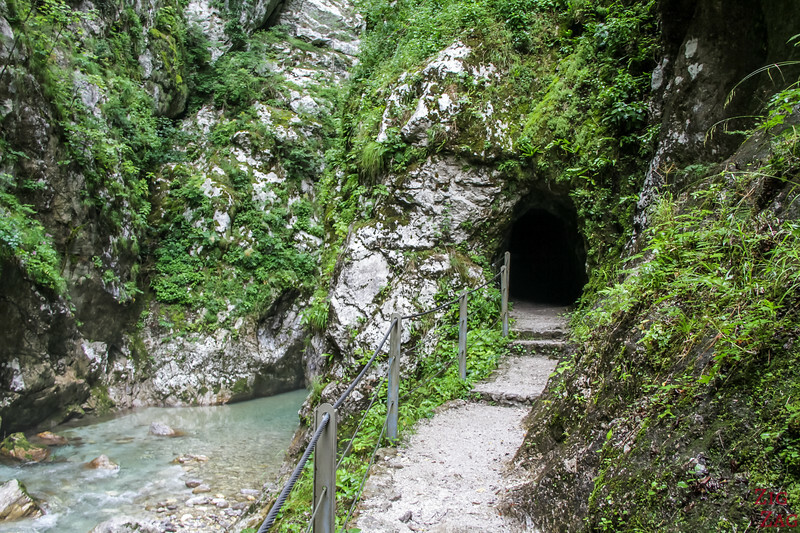 Once at the top of the gorge, you can make another detour to the Zadlaz cave also called Dante Cave. It is said that it is where the writer Dante Alighieri found inspiration for his Inferno in the Divine Comedy. To return back down to the parking, you will have to cross the Devil's bridge. Here are pictures taken from the bottom of the Gorge. It does not look so good from down there. But once at the top, you feel a bit more secure crossing it. It was built in 1907. 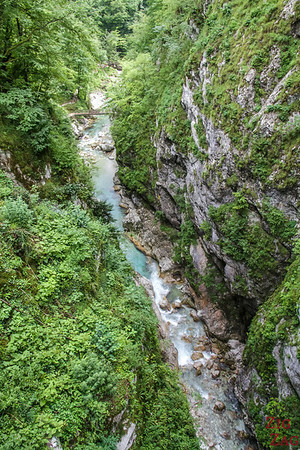 From the top you can admire the narrow canyon where River Tolminka is flowing. 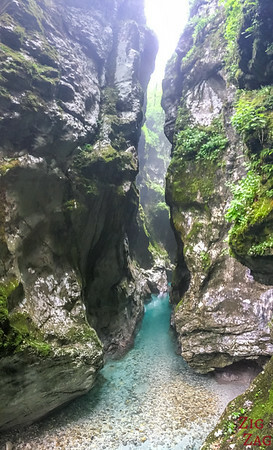 The Tolmin Gorges are located close to the town of Tolmin. It is the largest town in the area. 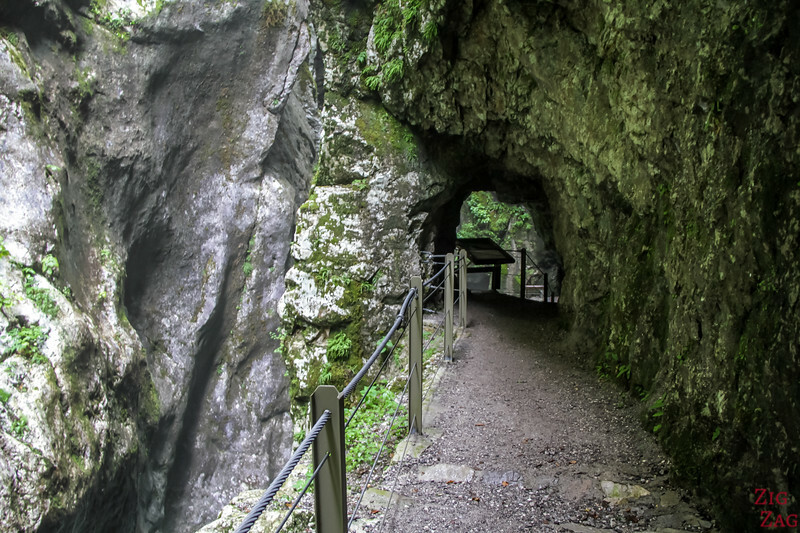 If you are limited in time, you might hesitate between visiting the Vintgar Gorge near Lake Bled and the Tolmin Gorges. Here is a quick comparison to help you decide. 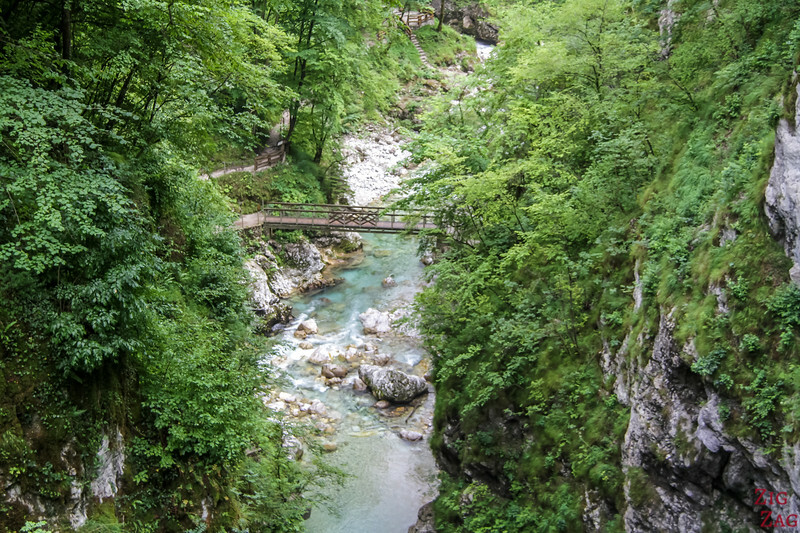 And you can go and see my photos of the Vintgar gorge to help you decide. 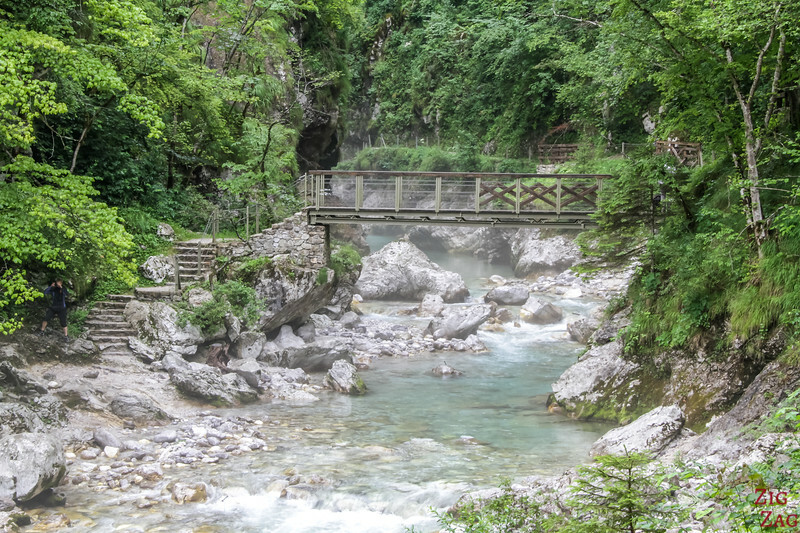 General impression - My preference goes to Vintgar gorge (when going early before the tourist bus). The walk is phenomenal the whole way with more variation in colors. 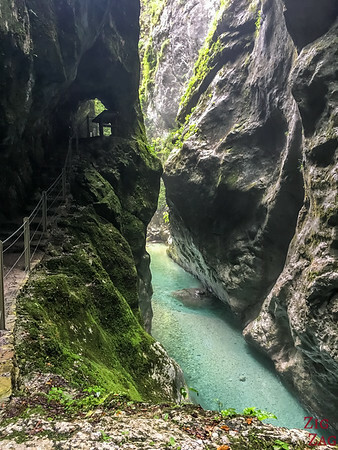 Tolmin Gorge opening hours: at least 9am to 5pm in Spring/Autumn and at least 8:30am to 7pm in Summer - closed from November to roughly mid march.